Liberty has a home! - Rocky Mountain Great Dane Rescue, Inc.
Liberty has a home with her foster family in Westminister, CO.Tiffany & Robb adopted from RMGDRI several years ago. 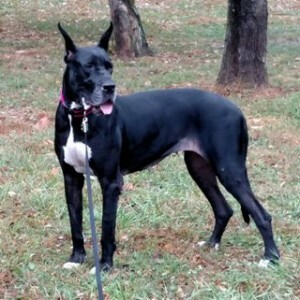 After their beloved Dane passed at the age of 11 they finally were ready to fill the hole in their heart that only a Dane can fix. Liberty was their foster and she blended perfectly with their family. Way to go sweet girl!